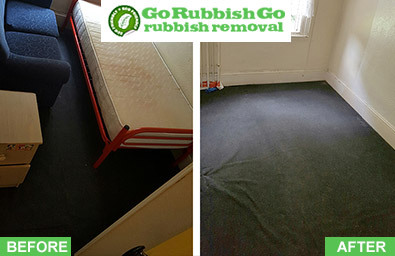 If you are looking for a knowledgeable and reliable NW2 house clearance service in Dollis Hill, then Go Rubbish Go are perfect for you. We are highly skilled and trained when it comes to clearing away rubbish and have been clearing clutter for our clients in NW2 for many years. Our teams are experts when it comes to the safe collection and disposal of rubbish. We take time to listen to our customers’ needs and what you expect your home to look like after the work has been done. 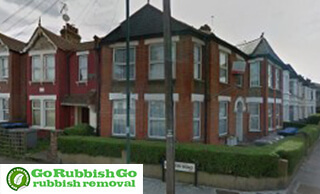 We can then carry out a Dollis Hill house clearance job that will declutter and revamp your whole home. Call today at 020 8610 9182 for your free quote. Getting your home in Dollis Hill back in tip-top condition doesn’t have to cost you a fortune. We pride ourselves on being the best NW2 house clearance company, with very competitive prices. We are always working out ways to keep our costs low, while still providing a fantastic service. We take the hassle out of trips to the dump where the cost of petrol can add up. 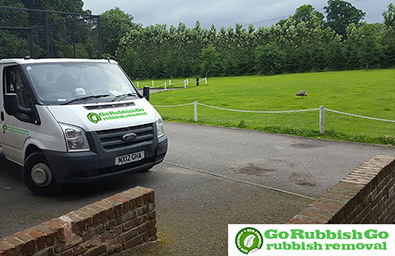 We take away the need to pay someone to collect the rubbish and dispose of it legally. In our house clearance Dollis Hill service, it’s all included in the price. Call 020 8610 9182 now to hear more about our amazingly low prices. Why Is Our House Clearance Company the Best in NW2? We specialise in NW2 house clearance and all of our staff members undergo checks and training to make sure they are up to our customers’ standards. We constantly keep up with the latest ways to keep our carbon footprint low and our service fast. We understand that our customers in Dollis Hill have busy lives, so we work around you. We don’t limit ourselves to certain times like some companies do, instead we take the time to listen to our clients and find out the specifics of their Dollis Hill house clearance and when they would like it done by. We are always ready with our helpful and friendly staff so that we can get to you as fast as possible. We always run our service with a smile and are respectful about coming into your home. Our clients come back to us time and time again because we work hard to build up trust and let you get to know our staff. We make it all very quick, just let us what Dollis Hill house clearance service you are looking for and we will send the right number of people to get it done as fast as possible. We know that it’s important to keep disruption to a minimum during a NW2 house clearance so that you can get on with your everyday lives. When it comes to house clearance in Dollis Hill, Go Rubbish Go make the booking process as easy as possible for you and keep things simple. You can book today by calling 020 8610 9182 and letting us know all about your Dollis Hill house clearance needs. We know how important your NW2 home is to you and how clutter can affect you both in and out of the home. We want to get things back to normal or get your new home ready for you to make your mark on it. There are no complicated procedures or hundreds of forms to fill out, just a friendly person on the other end of the phone happy to answer all your questions. We don’t just listen to our customers’ needs in NW2; we also have the latest info on where to recycle, what products to use and how to move things safely and carefully. We have been decluttering homes for years and are always put new staff through rigorous training exercises before unleashing them on your home in Dollis Hill to get to work on clearing any rubbish or clutter. House clearance NW2 is about getting things back in order and creating a space that makes you feel happy and comfortable once more. We know exactly how and where to start and what methods are best to create the least disruption and noise during a house clearance Dollis Hill. What Do We Know About Dollis Hill? Dollis Hill is located in the London Borough of Brent in North West London, mostly made up of 1920s and 1930s houses in a semi-detached style. A war room bunker can be found here, and it is looked upon by greenery of the 86 acres of Gladstone Park. With local shops and convenience stores serving the locals, the area also has fantastic transport links into the city via the Jubilee line which passes through Dollis Hill tube station. Dollis Hill is steeped in history you can almost feel as you stroll along its peaceful streets.